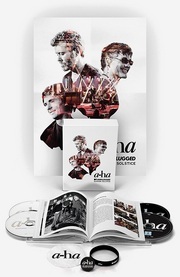 Following three solo sets from each band member, a-ha got on stage together at the end and performed 4 songs at these very special concert events in Oslo and London; “Train Of Thought”, “Riding The Crest”, “Shadowside” and “Take On Me”. Per Lindvall joined them on drums for the last two songs. 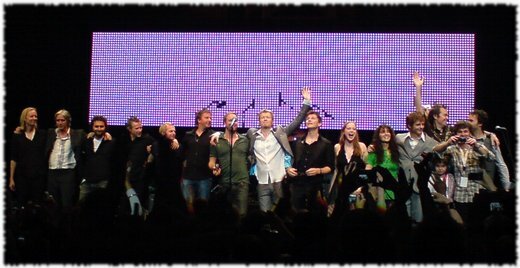 Magne’s solo band included Karl Oluf Wennerberg (drums), Dan Sunhordvik (guitar/backing vocals) and Jonny Sjo (bass/backing vocals). Paul, Lauren and Frode were joined by Jørun Bøgeberg (bass), Preben Grieg-Halvorsen (keyboard), Hågen Rørmark (guitar/backing vocals) and Erin Hill (harp/backing vocals). Morten’s solo band included Per Lindvall (drums), Kjetil Bjerkestrand (keyboards), Eivind Aarset (guitar) and Jonny Sjo (bass). Magne: A Dot Of Black In The Blue Of Your Bliss, The Longest Night, Kryptonite, Running Out Of Reasons, All The Time, Don’t Do Me Any Favours, Come Back, Summers Of Our Youth. 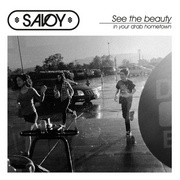 Savoy: Tears From A Stone, Star (I’m Not Stupid Baby), Any Other Way, Best Western Beauty, Whalebone, Velvet, Foolish. Morten: Send Me An Angel, Darkspace, Movies, Shooting Star, There Are Many Ways To Die, With You – With Me, A Kind Of Christmas Card, Spanish Steps, The One You Are. a-ha: Train Of Thought, Riding The Crest, Shadowside, Take On Me.